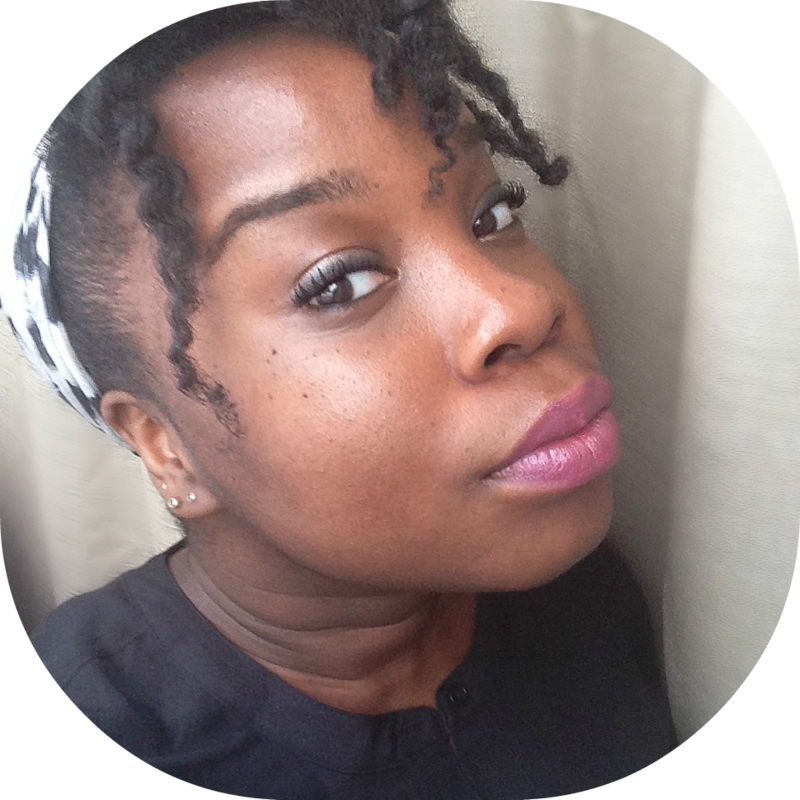 Last December, I celebrated 6 years of blogging. Thank you for your comments, views and shares of my blog posts throughout the years. I know I haven't been posting a lot because of the wedding but this is still my baby. I'm not sure how long Spiced Beauty will be here.... but I will not lie.. the passion is kind of dying. I personally feel like the landscape is not where it should be right now. In other words, six years of doing this and I haven't seen much of a change (for me). Don't get me wrong... I still get excited when I see a palette in the mail or event invite but I still think there might be another realm for Spiced Beauty. Actually let me rephrase that.. there is another realm but that hasn't really been tapped out yet. 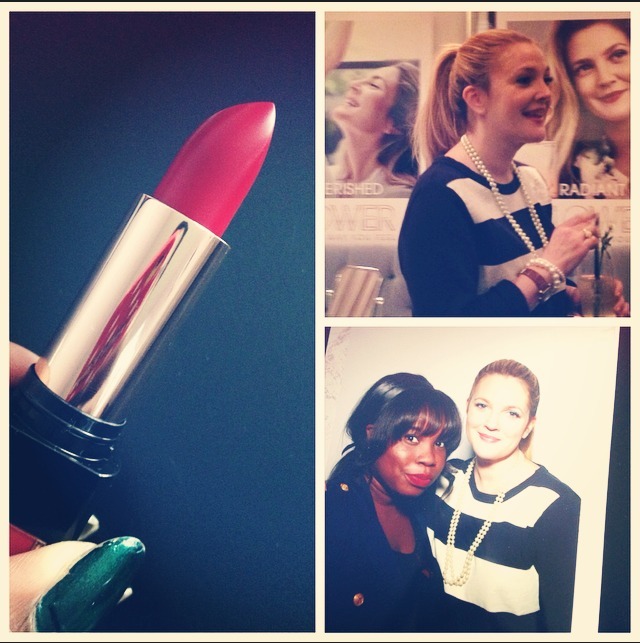 I went to an exclusive Flower Beauty event a while back and I had the opportunity to try out a lot of their products and meet Drew Barrymore. She is amazing- literally everything I thought she would be and more. I'm so impressed with the line. 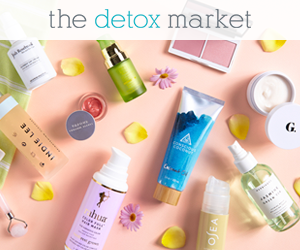 The pigmentation, the colour range, and the overall products that they have makes it unique. 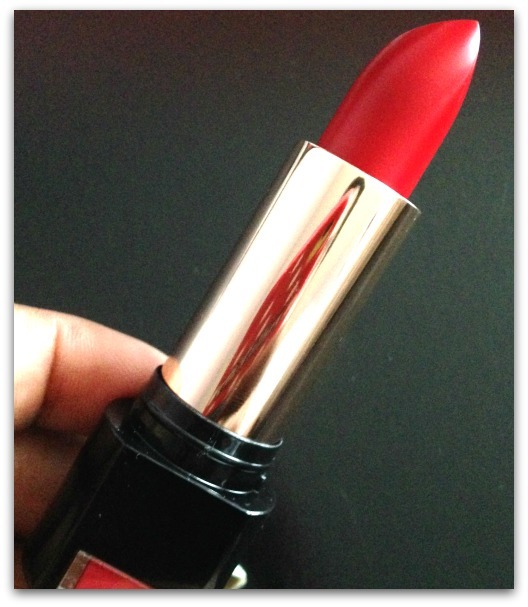 Fell in-love this amazing red lipstick- Rosebud (shown above). Which I'll post about it soon. 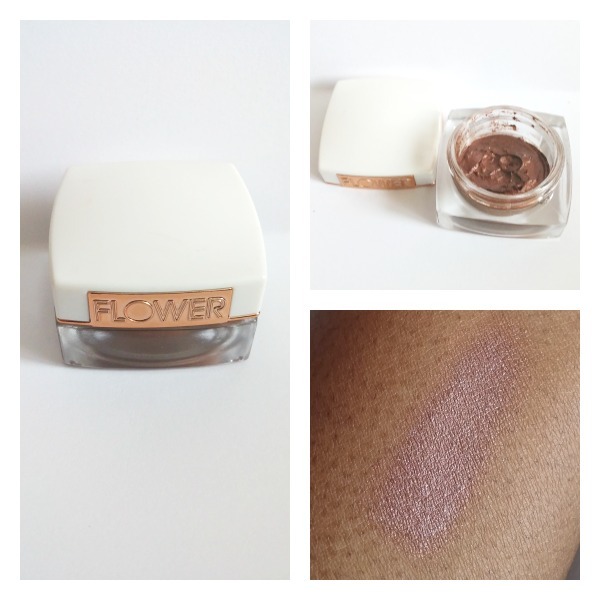 Plus I was also introduced to a new favourite: Flower Color Play Creme Eyeshadows $7.98 CAN. It that comes in six shades. The packaging is extremely cute and the consistency is soft like a soufflé. You can apply it with your fingers or with a thin brush like a concealer brush. After eight hours of work- it did not crease. I used one of my make up removers to take off the eyeshadow and I had no issue. Each creme eyeshadow has vitamin E for antioxidant protection. I would recommend getting every colour. 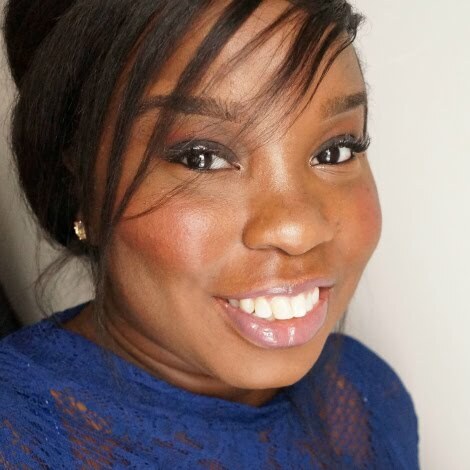 I love these challenges because they force me to get all done up! January's challenge: Is all about Demi Lovato! If you're out of the loop and don't know- She is New York Color's first global ambassador. More importantly- She can rock a mean smokey eye. I'm in love with the stay power of the City Proof 24 hr waterproof eyeshadows. I'm so use to "cream" shadows creasing on me but these stayed put! 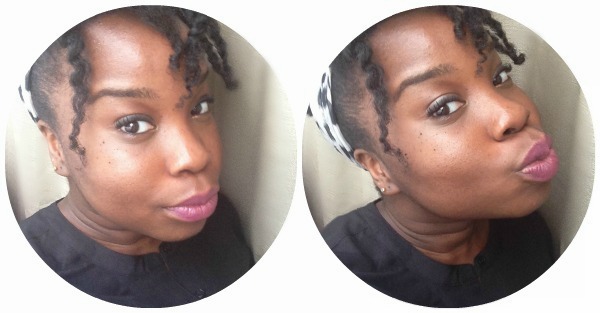 And those lipsticks.. *swoon* The PERFECT combination of matte & satin. 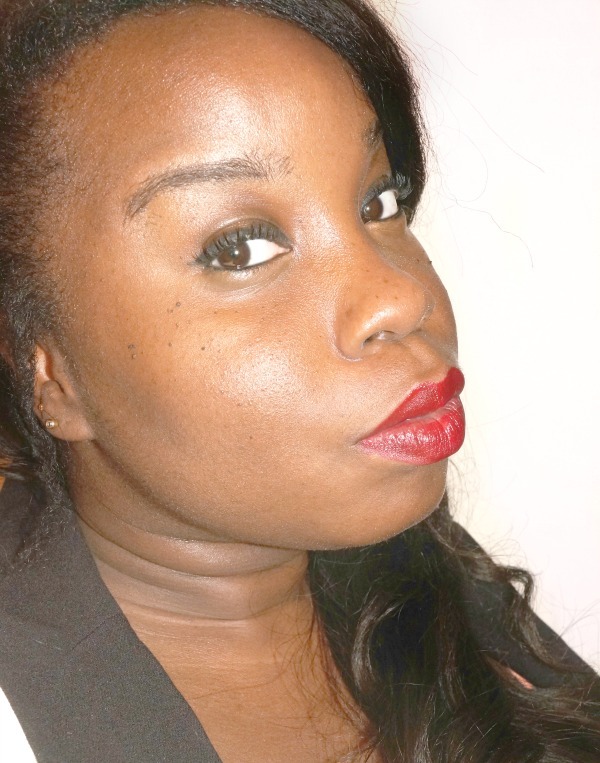 I'm wearing Expert Satin Matte Lip Color in Berry Me.